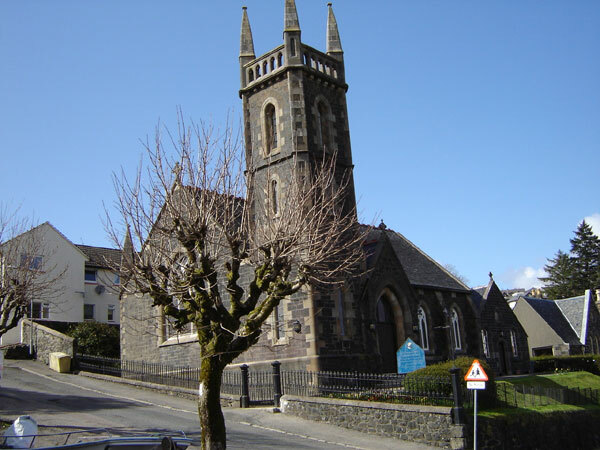 This Church of Scotland Parish Church and Church Hall are sited in the upper part of the town overlooking the bay, and are accessed from Victoria Street. 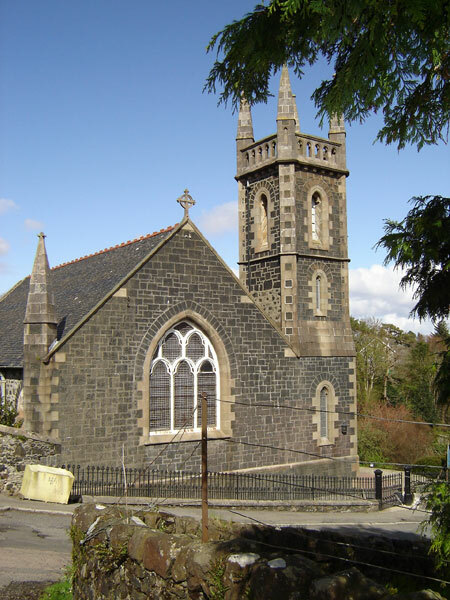 Thirty-two ‘Parliamentary Churches’ were built across the Highlands and Islands to the standard design of Thomas Telford, and one of these was erected on the present site of Tobermory Parish Church in 1828 – see also Kinlochspelve Church, Ulva Church and Iona Parish Church. These churches were paid for by the Government – hence the name ‘Parliamentary Churches’. A Manse was also provided, but this is now a private house known as ‘Mansefield’. In 1895 the old church was demolished and the existing Victorian gothic-style building erected. It was opened 1897 by Rev. Norman MacLeod of Inverness. Additions and improvements have since been made, including a church hall added in 1890. 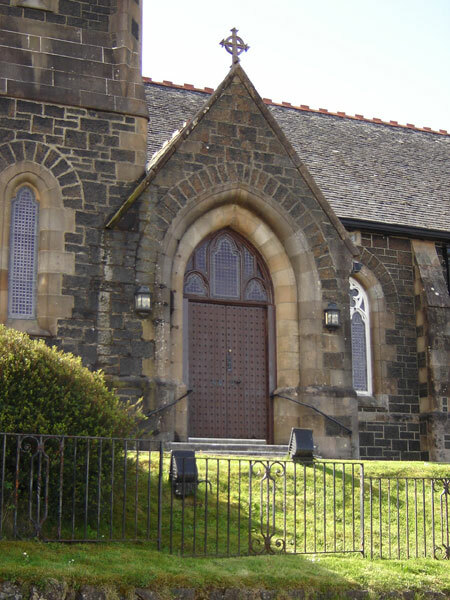 The interior of the church is comfortably furnished and contains many items attesting to Tobermory’s history, and also to the generosity of previous church members and Naval personnel stationed here during the Second World War. These include the colourful rose window, the lectern, the baptismal font and the new organ, which was installed in 1988. A stained glass window commemorates A W Graham, a native of town, who was lost at sea. There is also a memorial to the fallen of the First World War – Gaelic inscription adapted from Psalm 72.v.17 ‘their names shall live for evermore’. The heavy studded outer doors of the church came from Aros House when it was demolished.